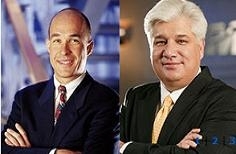 More trouble for BlackBerry Execs | BlackBerry Blast! The Securities and Exchange Commission has charged Research in Motion Limited and four of its senior executives for stock option backdating. RIM recently reached a settlement with the Ontario Securities Commission, but it looks like the SEC decided to take their own action as well. "As alleged in our complaint, RIM and its highest level executives engaged in widespread backdating of options which provided them and other employees with millions of dollars in undisclosed compensation," said Linda Chatman Thomsen, Director of the SEC's Division of Enforcement. "This enforcement action underscores the SEC's resolve to assure full and accurate disclosure to U.S. investors by foreign issuers."